← Rachel Strikes Out On Her Own! It is hard to believe that Rachel arrived a week ago and will be leaving very early tomorrow morning to catch a flight that will take her to Paris and from there to San Francisco. Her long day will continue after a five-hour layover when she flies back to Denver and from there back to Boulder. Even though I have had limited mobility, I have thoroughly enjoyed having her here in Valencia. Needless to say, Susan has been thrilled. Although it has been a bit frustrating spending major time on the couch, I have been able to experience some aspect of Fallas given all that is happening within a couple of blocks of the house. Truth be told, I am not a big fan of crowds and more than a million people have filled the streets of Valencia these past few days. I really do not know how much of a hurry I would have been in to be one of 20,000 people watching a mascletá. There’s always next year. I did manage to get out yesterday and do a bit of shopping so that we could have fajitas for lunch. I also picked up a few necessities. Rachel and Susan had left earlier in the day to see some more fallas and Rachel was hoping to get up close and personal with yesterday’s mascletá so that she could take pictures of the set-up. As I mentioned yesterday she got caught up in the sea of spectators and it took her a while to get back home. We had lunch together and we kicked back for a few hours. 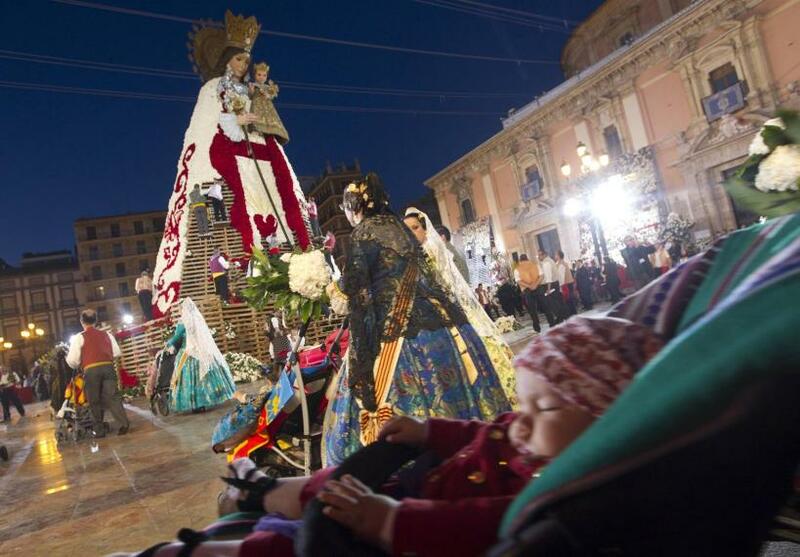 Rachel and Susan decided that they would go watch the ofrenda for a while and so they headed to the Plaza de la Virgen to watch the procession. 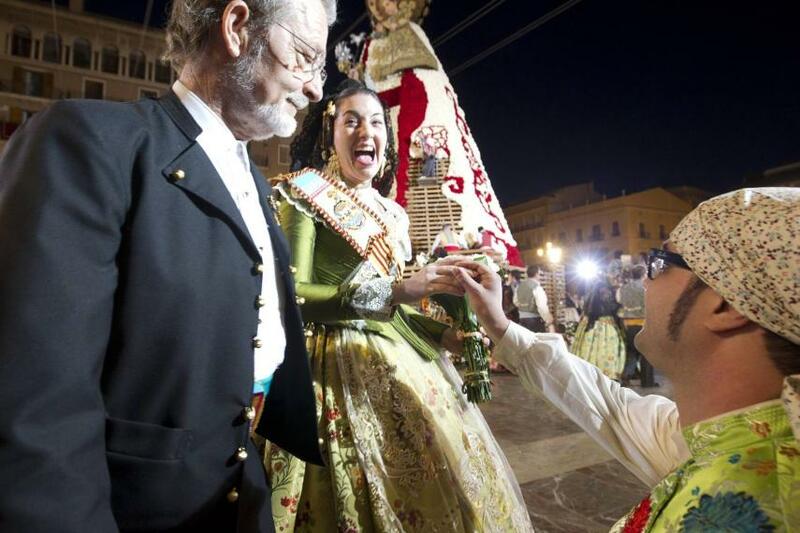 Some 50,000 people process through the streets of Valencia to offer flowers to the Virgen de los Desamparados. All the flowers are then placed in a wooden structure that represents the Madonna and child. Susan and Rachel did not return home until a little after 9:00. We all fell into different states of collapse and around 11:00 Susan and Rachel decided that they would not go to see the fireworks display that was scheduled for 1:30 AM this morning. We were all fast asleep before midnight struck. Here are a variety of photos shot by Susan and Rachel the past couple of days.